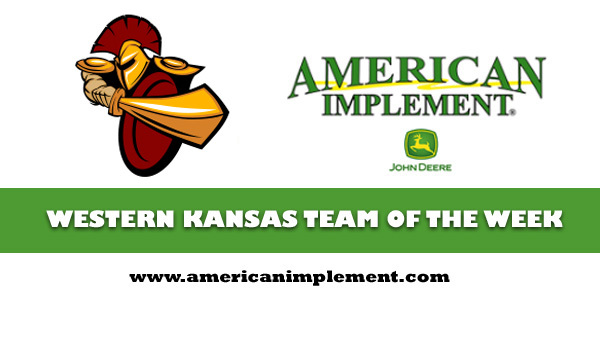 American Implement Western KS Team of Week: Stanton Co.
Stanton County is 9-1 on the season. Entering this week, Class 2A girls has two undefeated programs, Howard-West Elk at 8-0 in the Arma-Northeast sub-state, and Johnson-Stanton County, 9-0, in the Meade sub-state. Stanton County has enjoyed one of the biggest turnarounds in Kansas this winter. The Trojans stand at No. 7 in Class 2A in a wide-open classification. West Elk is fifth. SC was eighth in Class 2A in the Jan. 7 poll, its first ranking of the year. Stanton County has already surpassed its win total from last year’s 8-12 record. Coach Trevor Siebert, in his first head coaching stint, is in his sixth season. Siebert is a 2007 Colby graduate, played basketball at Colby Community College and has been at SC since 2013. Siebert entered this winter with a 41-61 career mark but returned all five starters. SC does not have a senior on the roster. Stanton County is now 9-1 after a 43-39 loss to Sublette (7-4) in the Hi-Plains League tournament Monday night. However, the Trojans have already won their most games since a 13-9 mark under Siebert in ’14-15, the program’s lone .500-plus season in at least eight years. On Dec. 14, SC won against Lakin, 54-33, and then defeated Wichita County, 44-31, on Jan. 4. In the last two games before Sublette, the Trojans won at Walsh, Colo., 69-41, on Jan. 8, and 46-28 at Moscow last Friday. SC has scored 49.9 points a game permitted just 31.4 points per contest. Last winter, SC scored 37.4 and allowed 38.6 points a game. The Trojans had been 2-9 in the last 11 meetings versus Lakin. Junior Rylie Cook, who led the team with 11 points a contest last year, delivered 13.8 points a game entering this week. SC has balance with multiple players leading the team in a key statistic. In addition to Cook, junior Chloe Chenoweth paces the Trojans with 5.2 rebounds. Sophomore Peyton Peterson has 3.4 assists, just ahead of Cook (3.2). Peyton also leads with 3.2 steals. Sophomores Kenia Caro and Jordyn Tucker rank as the second- and third-leading scorers at 7.4 and 7.3 points a contest. Stanton County has one all-time final four appearance, in 1999, which also represents its last state showing. SC took third that winter in Class 2A. The Trojans also made state in ’84 and ’97, according to KSHSAA historian Carol Swenson.